Question 1: What Is The Likelihood That My Patient With Chronic Hepatitis C Will Develop Cirrhosis, Hepatocellular Carcinoma, And/Or Hepatic Decompensation? Question 2: How Should A Patient Who Tests Positive For Chronic Hepatitis C But Has Persistently Normal Serum Aminotransaminases Be Evaluated? Question 3: Do All Patients With Chronic Hepatitis C Virus Require A Liver Biopsy? Question 4: How Often Should I Measure Chronic Hepatitis C Rna While Treating A Patient With Peginterferon And Ribavirin? Question 5: When A Patient Receiving Peginterferon And Ribavirin Therapy Develops Anemia Should I Prescribe Epoetin Alfa Or Reduce The Dose Of The Ribavirin? Question 6: Is There Anything I Can Do To Improve The Chance That An African American With Chronic Hepatitis C Will Respond To Peginterferon And Ribavirin? Question 7: Is It Safe To Treat Patients With Chronic Hepatitis C And Cirrhosis With Peginterferon And Ribavirin? Question 8: How Often Should I Follow A Patient Who Had Chronic Hepatitis C After He Achieved A Sustained Virologic Response? Question 9: Which Patients With Chronic Hepatitis B Require A Liver Biopsy? Question 10: How Do I Decide Which Medication To Utilize In A Patient With Hepatitis B Virus? Question 11: Can I Ever Stop Treatment In A Patient With Chronic Hepatitis B Receiving An Oral Antiviral Agent? Question 13: How Do I Treat A Patient Who Is Coinfected With Chronic Hepatitis B And C Viruses? Question 14: How Does Having Hiv Affect The Likelihood That My Patient With Chronic Hepatitis C Will Develop Cirrhosis? Question 15: Which Patients With Chronic Hepatitis C And Hiv Coinfection Should Be Treated With Peginterferon And Ribavirin? Question 16: Is There A Simple Way To Treat A Patient Who Is Coinfected With Hepatitis B Virus And Hiv? Question 23: Do All Patients With Autoimmune Hepatitis Require Immune Suppressive Medications? Question 24: My Patient With Autoimmune Hepatitis Cannot Take Corticosteroids. Are There Other Medications I Could Use? Question 25: Do I Need To Perform A Liver Biopsy In All Patients With Autoimmune Hepatitis Prior To Initiating Steroids? Question 37: Which Asymptomatic Patients With Cirrhosis Should Undergo An Upper Endoscopy To Determine Whether They Have Esophageal Varices? Question 38: I Just Banded Actively Bleeding Varices In A Patient With Known Cirrhosis. The Patient Is Now Hemodynamically Stable. Is There Anything Else I Should Recommend? Question 40: Should I Vaccinate My Patients With Cirrhosis For Hepatitis A And B? Question 44: My Patient With Cryptogenic Cirrhosis Was Recently Hospitalized With Spontaneous Bacterial Peritonitis. How Long Should She Be Treated With Antibiotics? Question 45: My Patient With Cirrhosis Has An Elevated Serum Ammonia But No Symptoms Of Hepatic Encephalopathy. How Much Lactulose Should I Recommend? Question 47: My Patient With Cirrhosis Suffers From Severe Fatigue But Has Normal Liver Function And Has Never Had A Major Complication Of Cirrhosis. Should I Refer This Patient For A Liver Transplant? 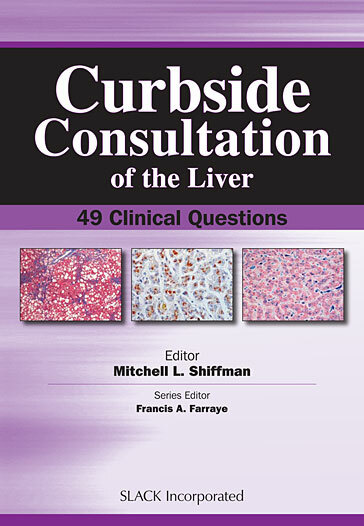 Question 48: What Should I Recommend For My Patient With Cirrhosis Who Was Recently Found To Have A New 2-Centimeter Liver Mass By Ultrasound Screening?